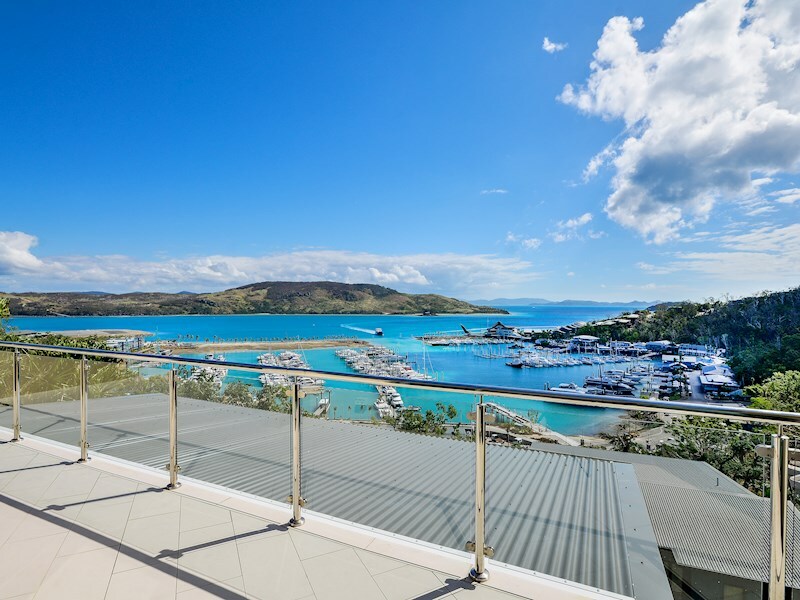 Luxurious three storey holiday home with views over the marina and Coral Sea. 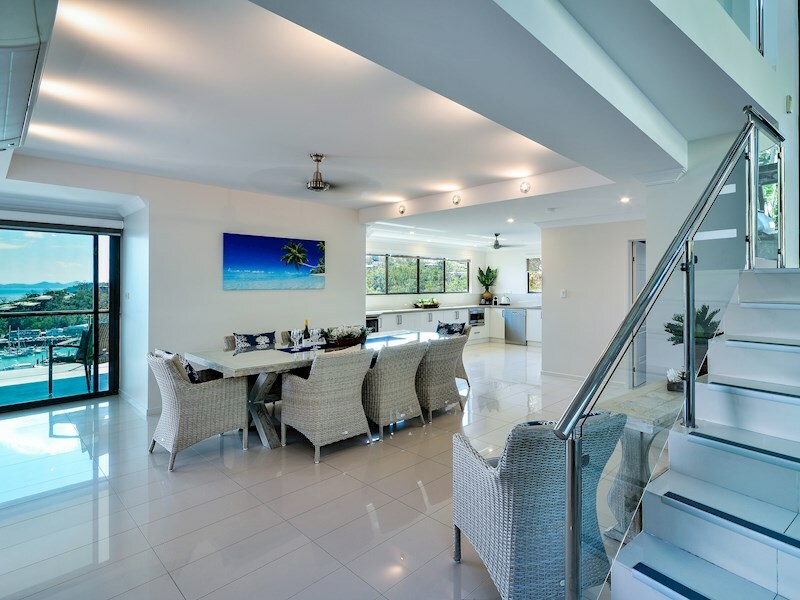 Conveniently located on the marina side of the island, this luxury home boasts water views, four bedrooms, multiple living spaces and a private pool. 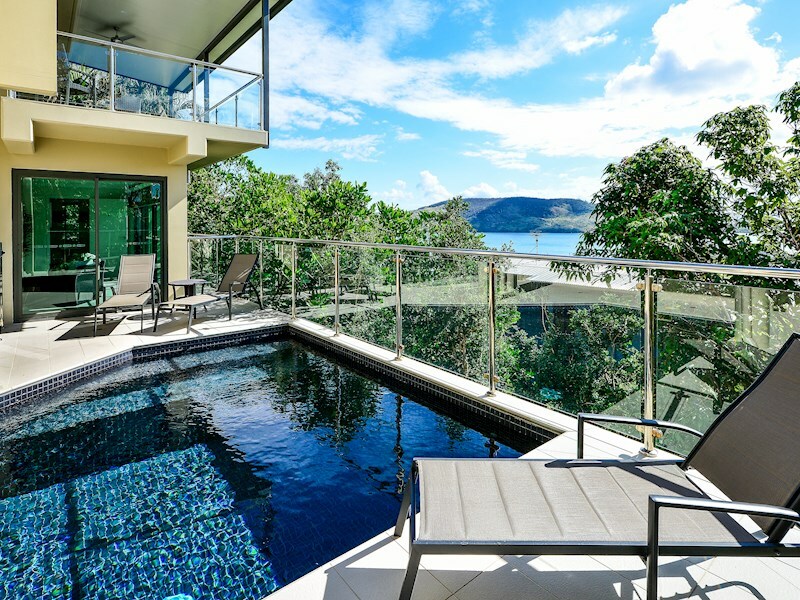 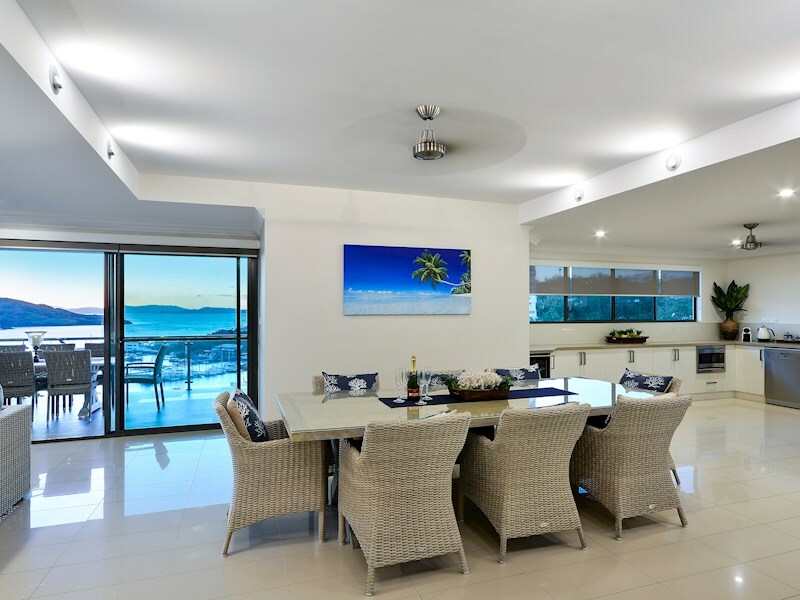 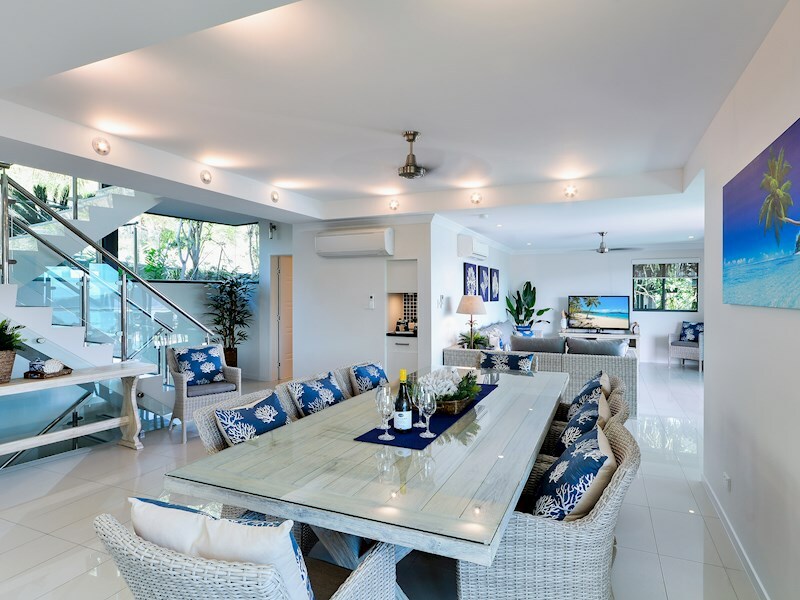 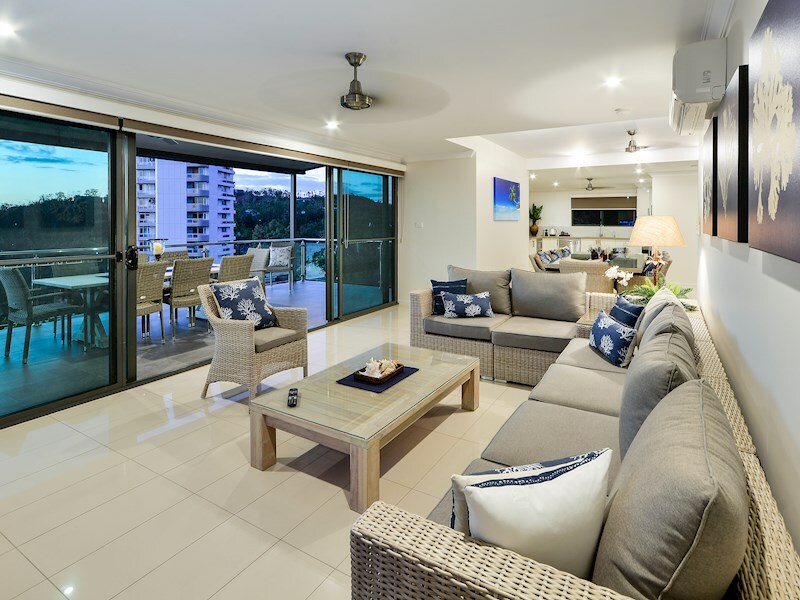 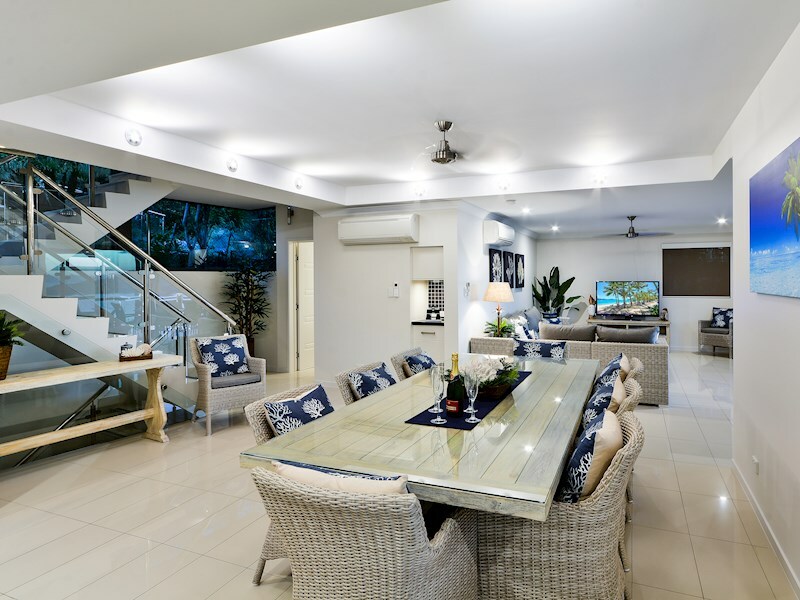 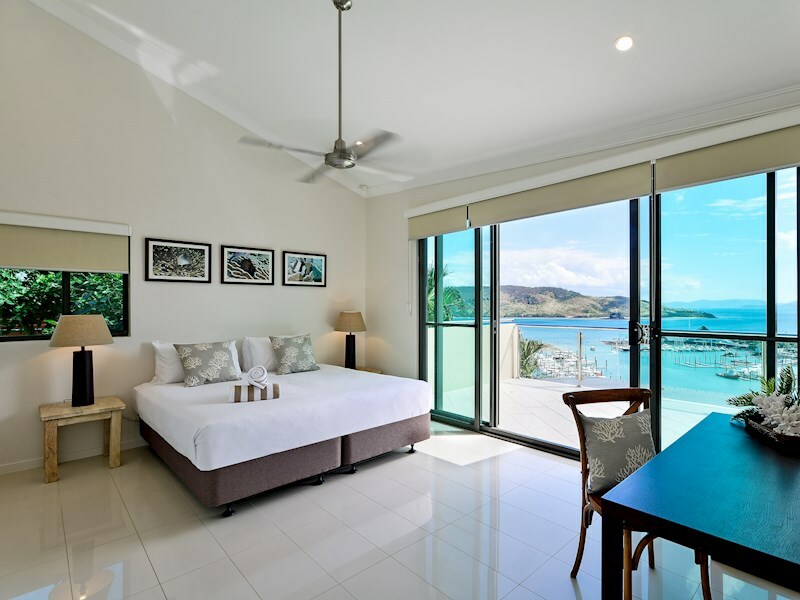 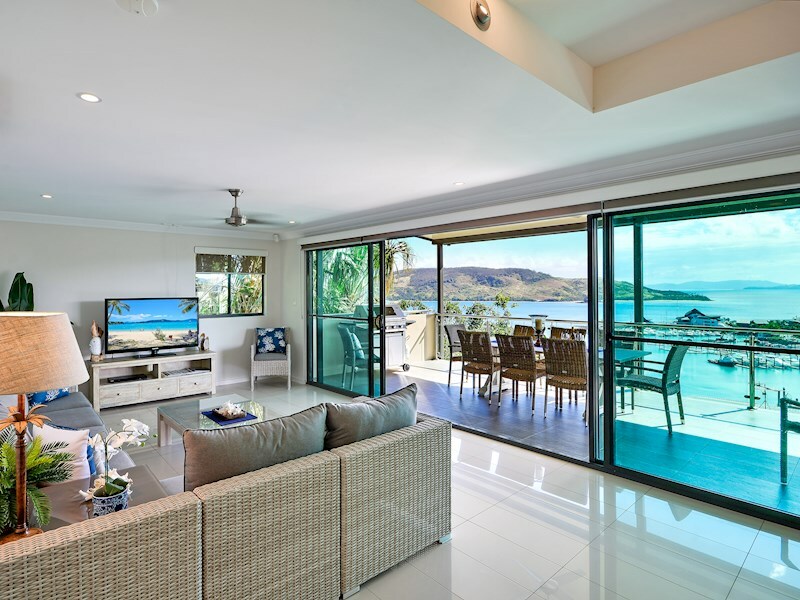 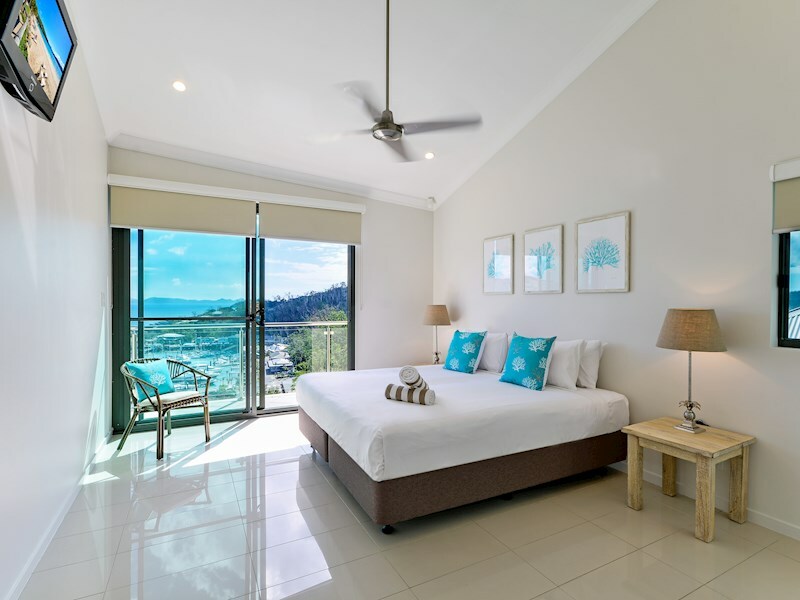 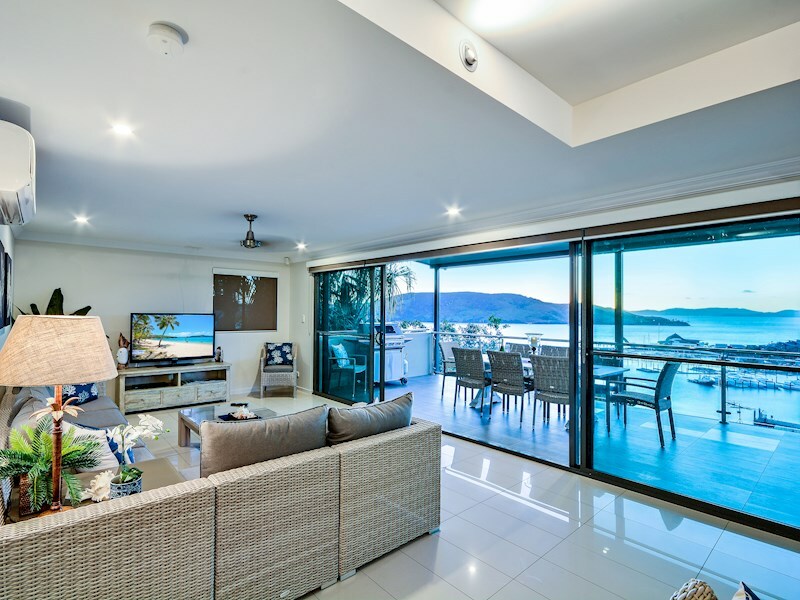 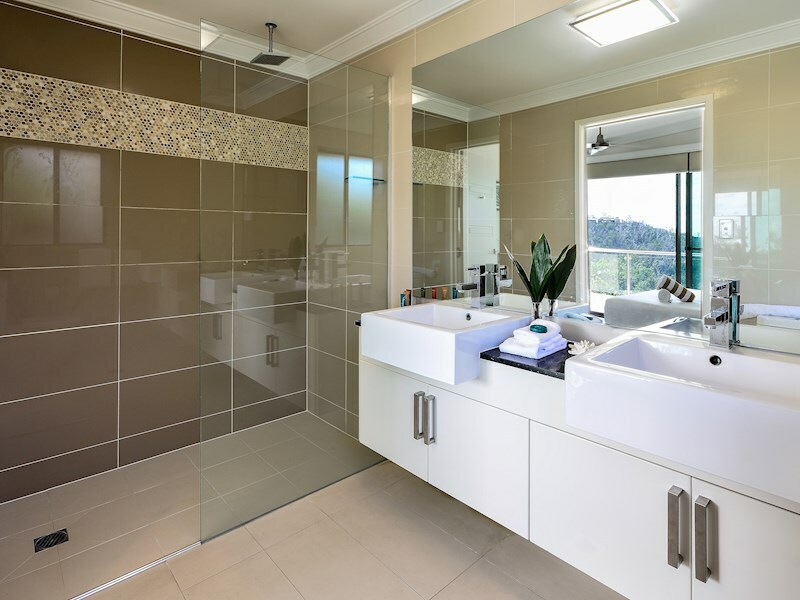 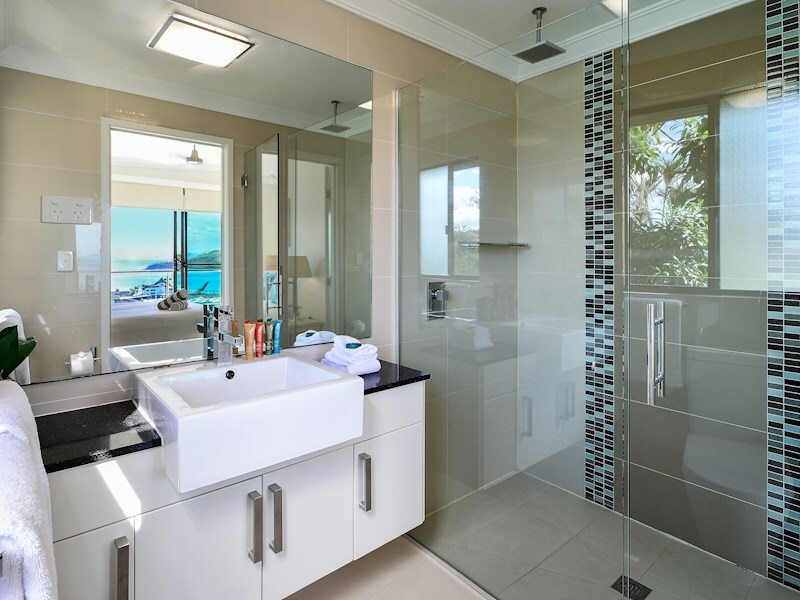 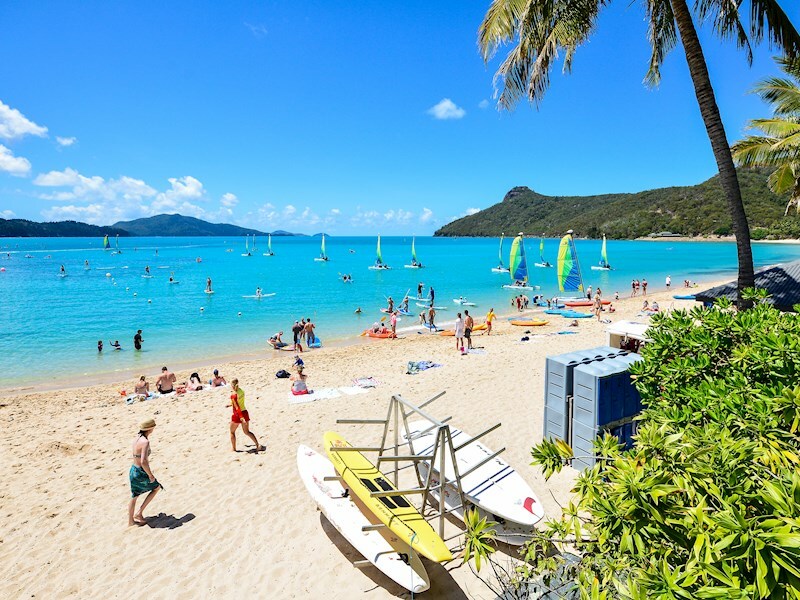 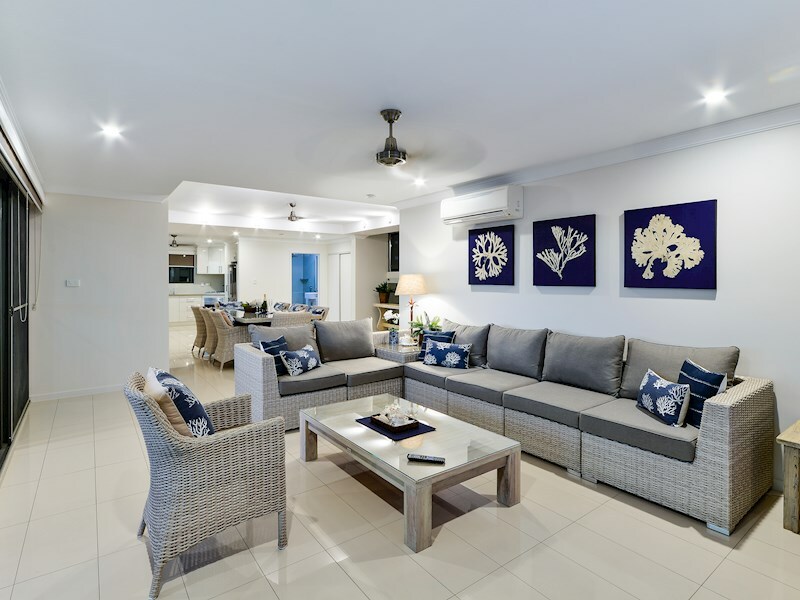 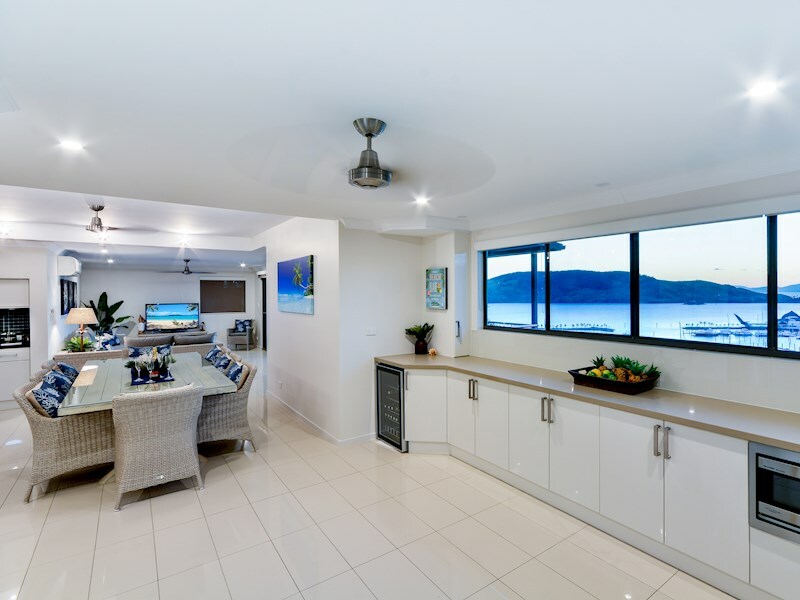 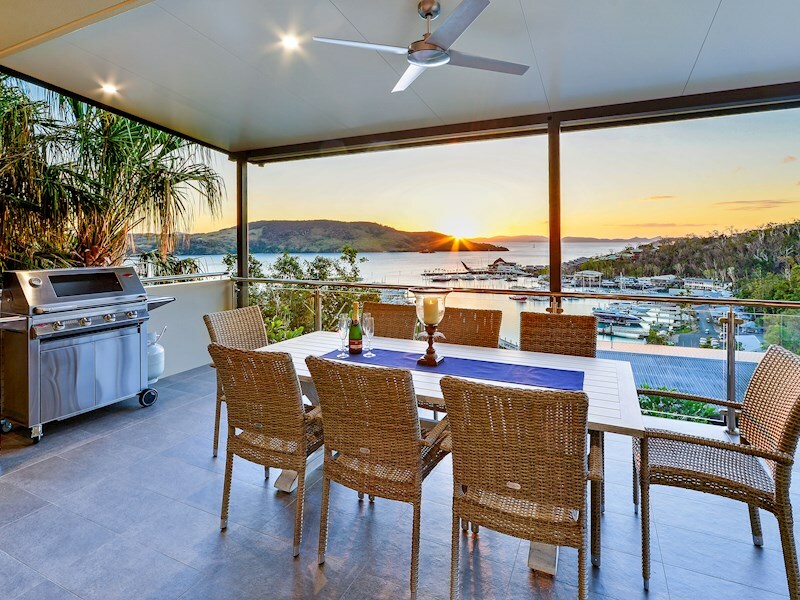 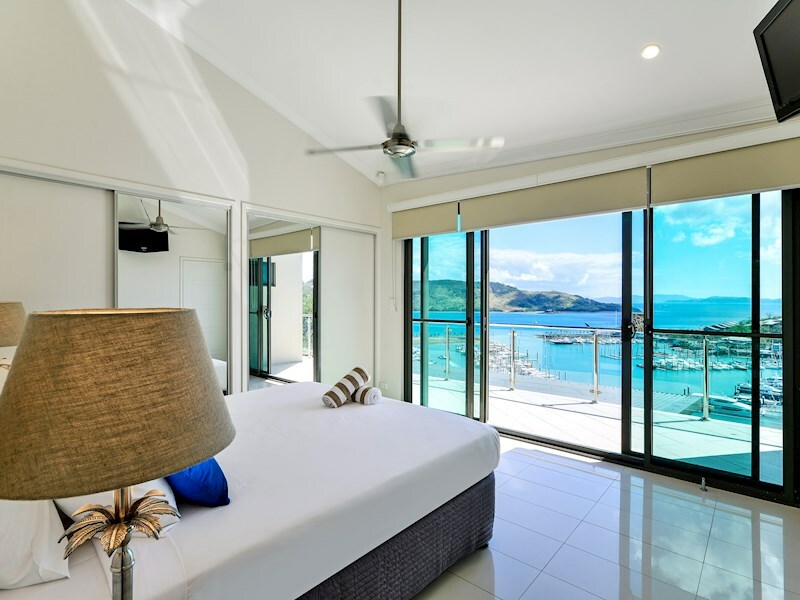 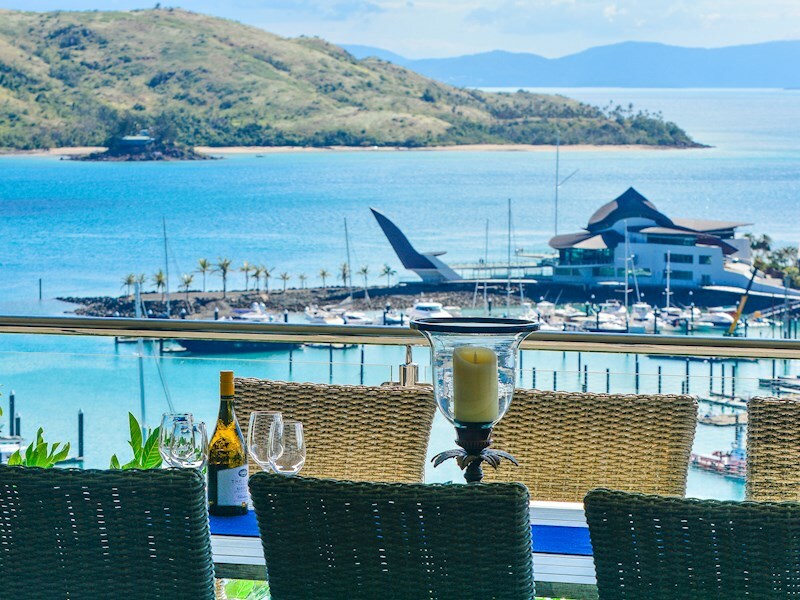 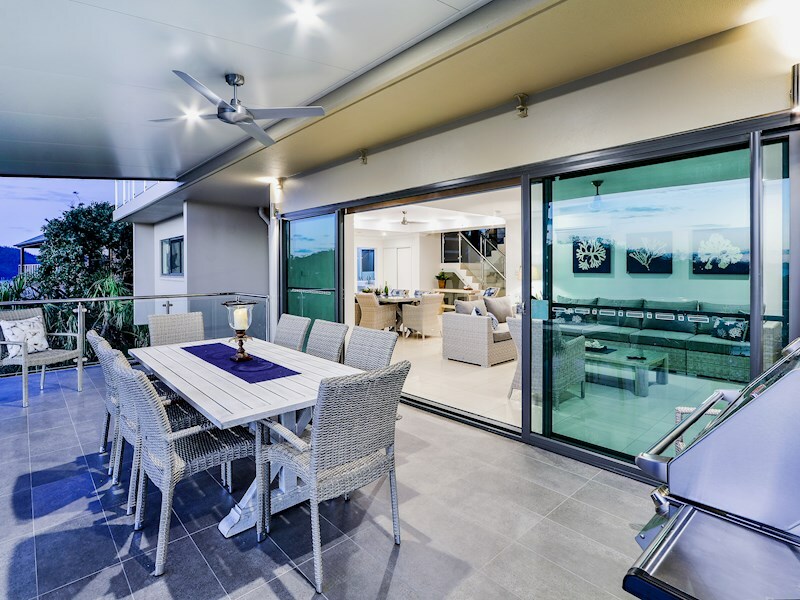 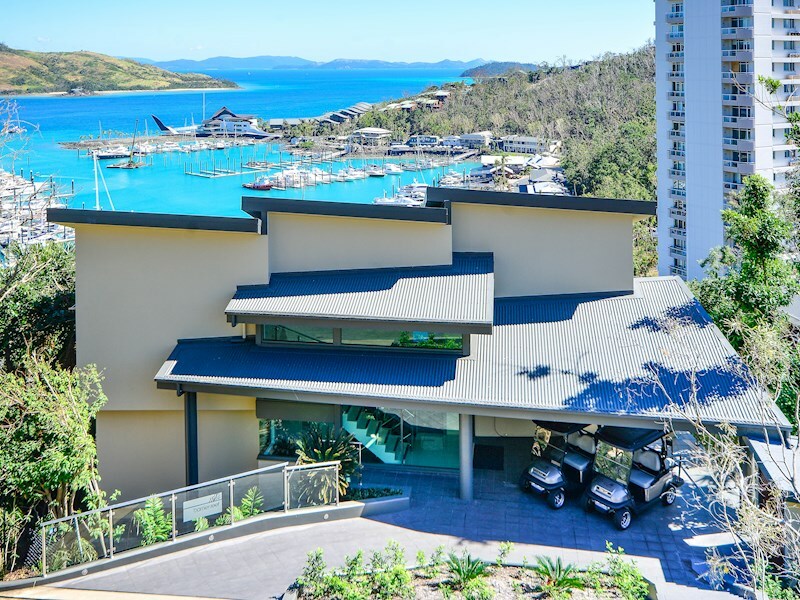 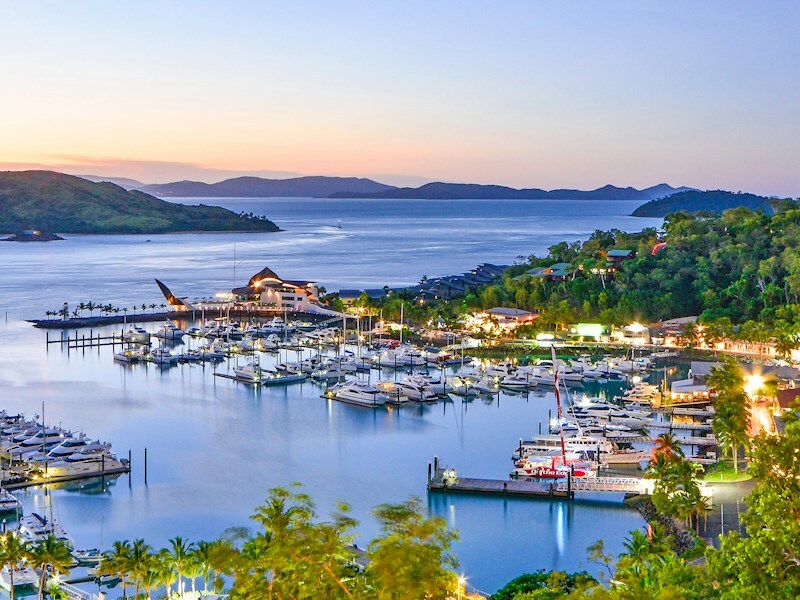 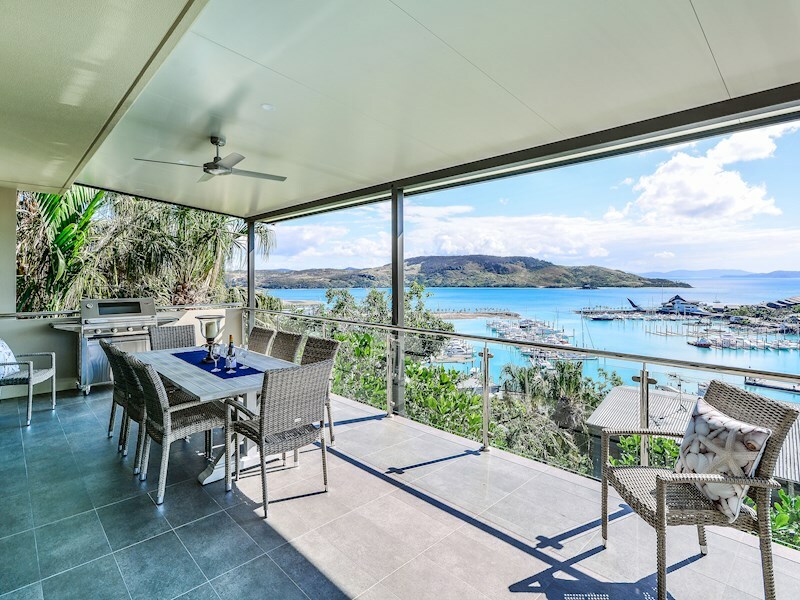 Enjoy spectacular views over the Hamilton Island Marina and the Coral Sea from almost every angle in this executive-style, multi-storey home. 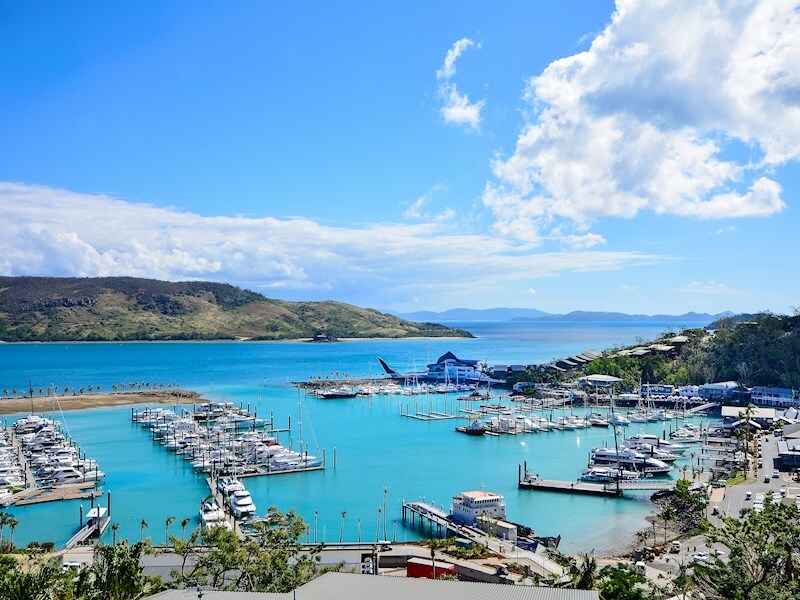 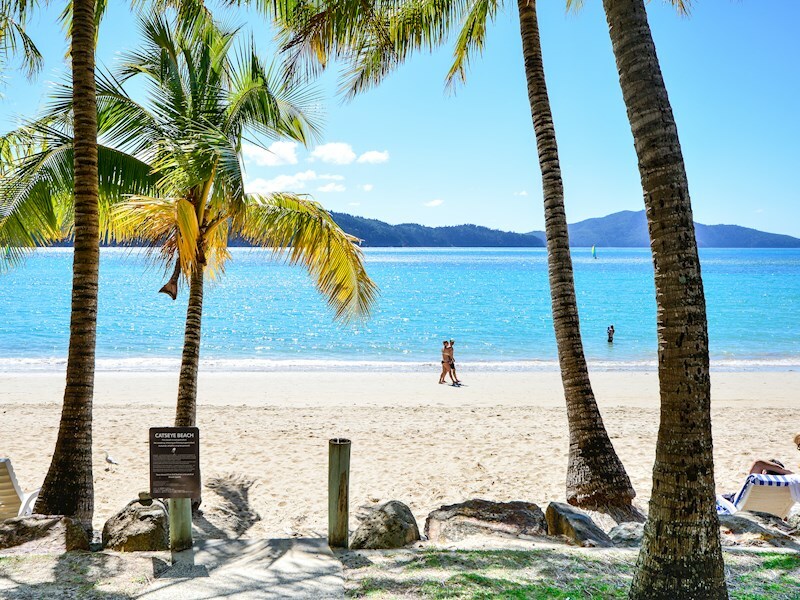 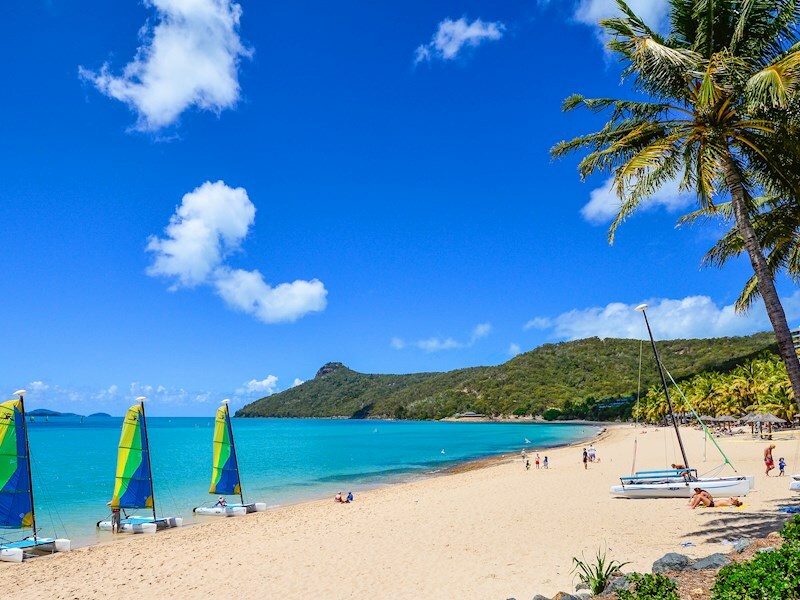 Conveniently located on the Marina side of the island, you're a short stroll or buggy ride to all of the island's key attractions. 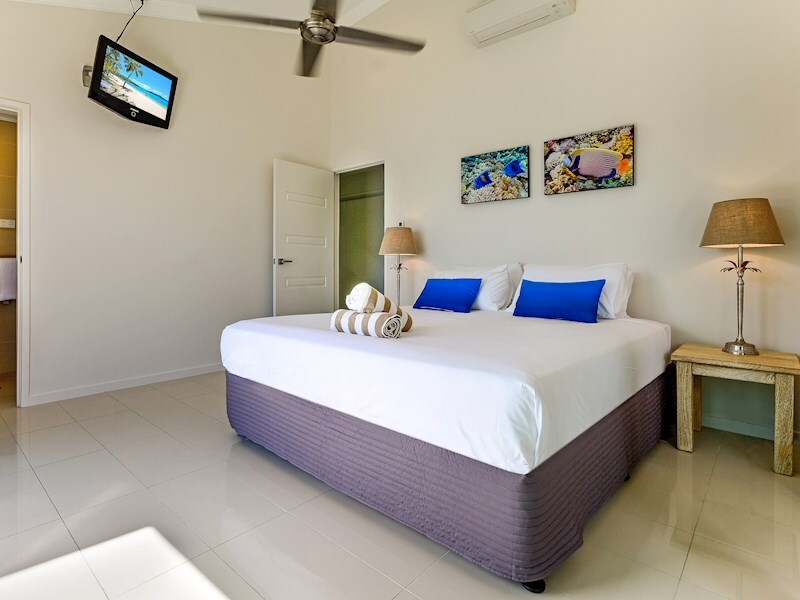 There are four spacious rooms in this home, all with king size beds, as well as five bathrooms. 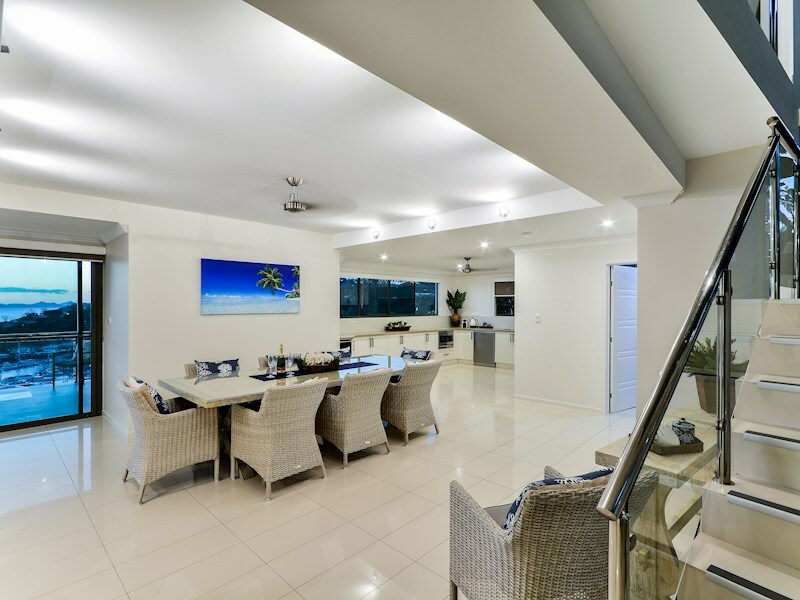 Ideal for families with older children, this large home offers plenty of separate living spaces, as well as its own pool. 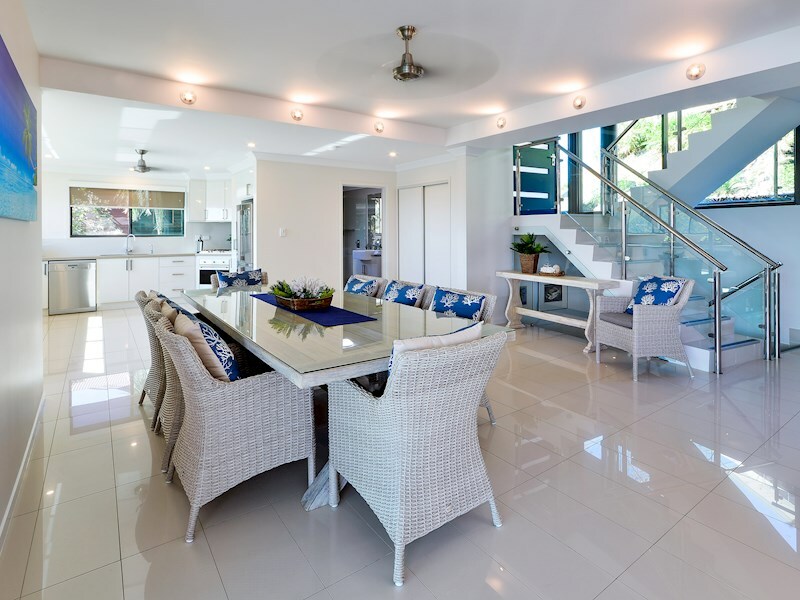 Please note that there are several stairs in this home, making it less ideal for toddlers or guests with mobility restrictions. 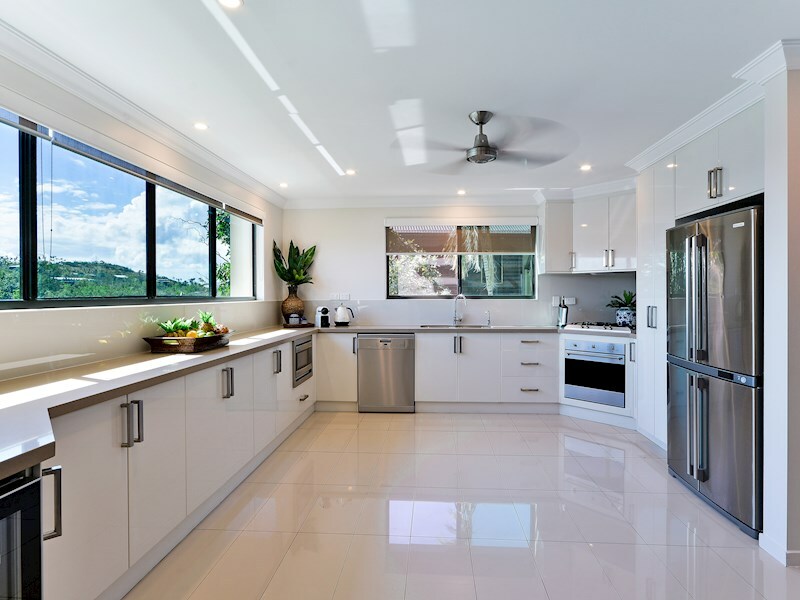 A fully-equipped open plan kitchen makes self-catering a breeze. 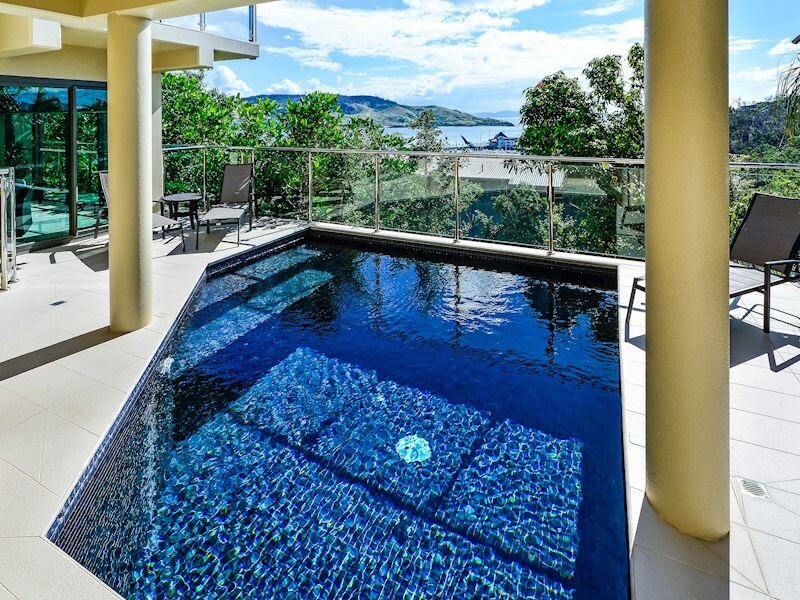 Relax in the undercover pool while enjoying views out over the Coral Sea. 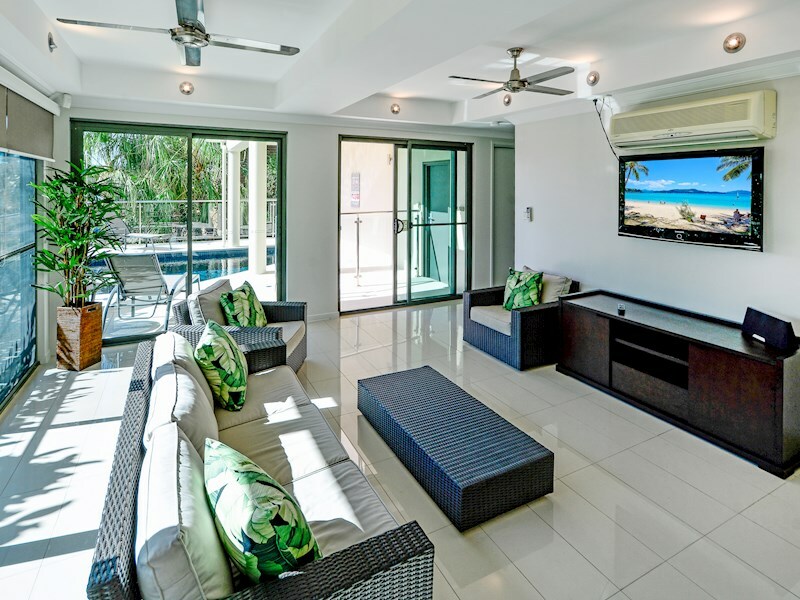 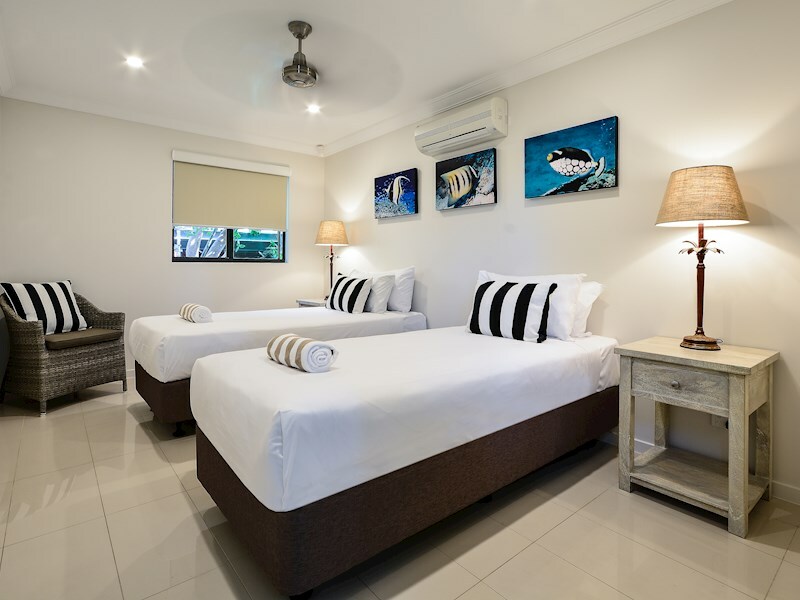 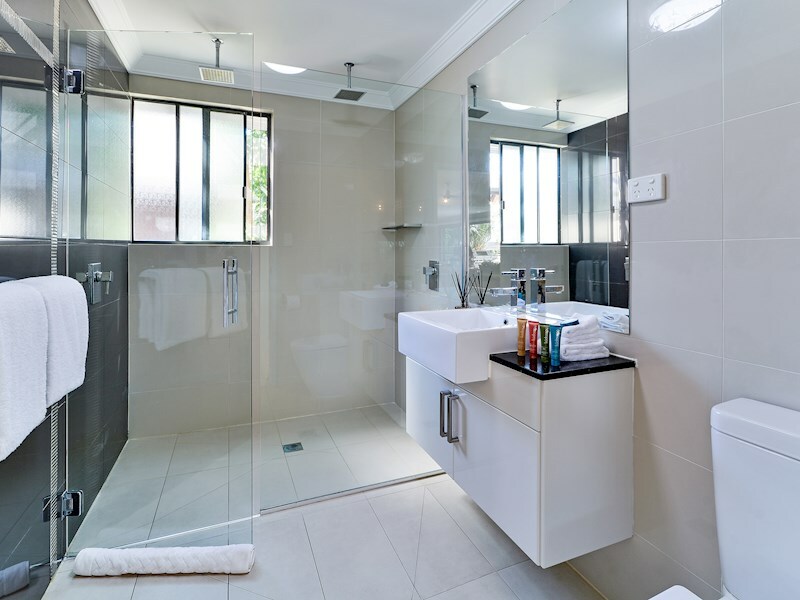 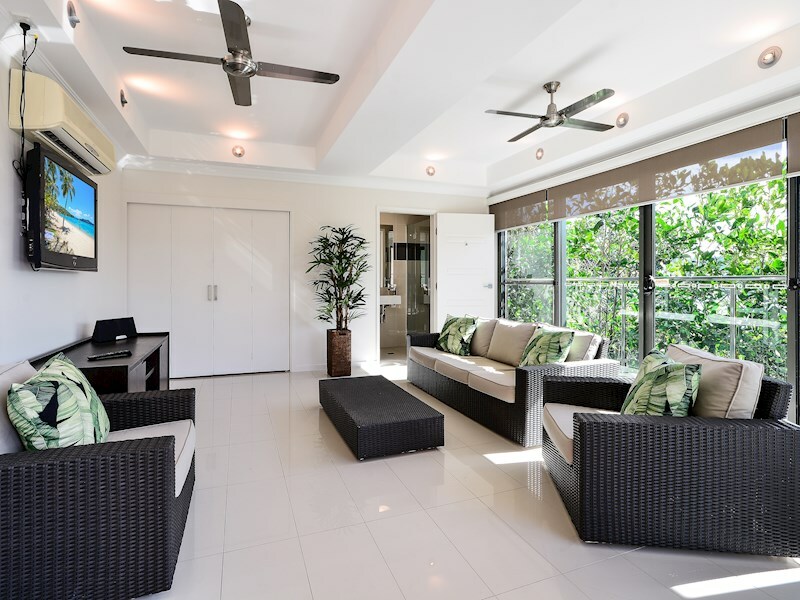 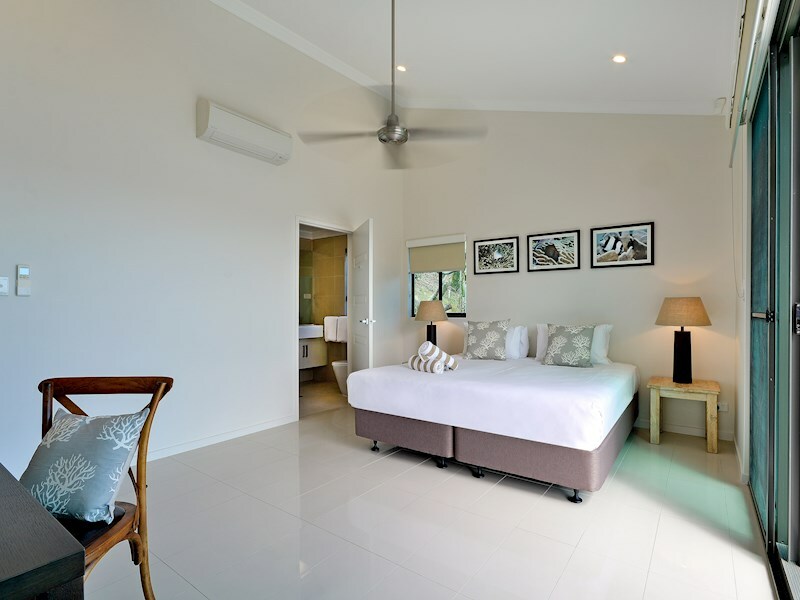 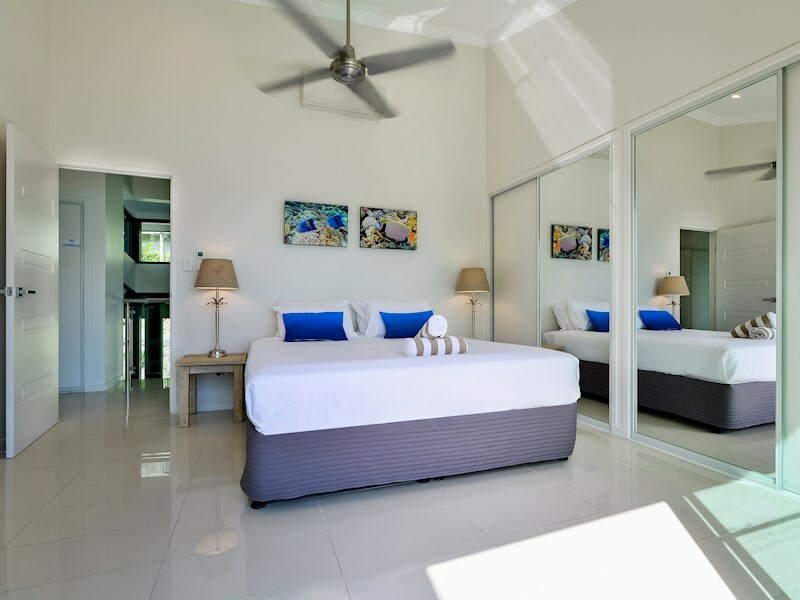 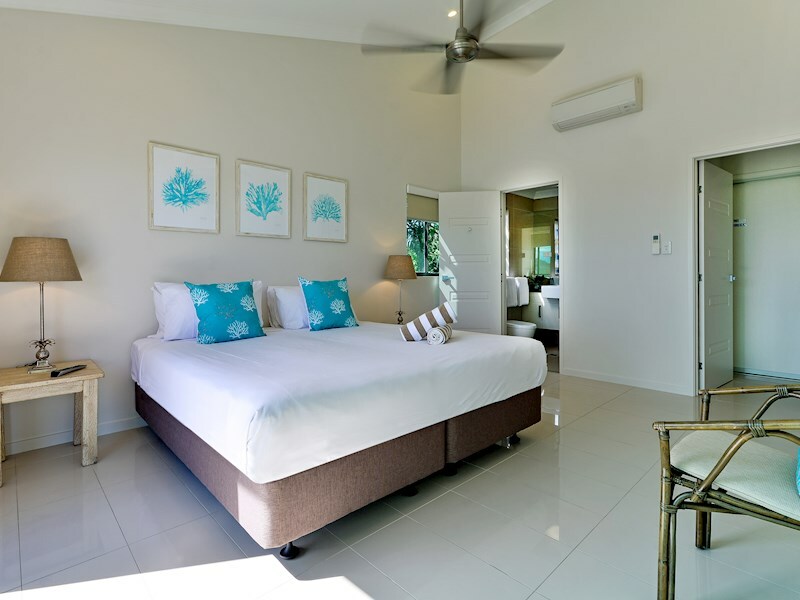 This property features all the comforts and conveniences you need for a memorable holiday, including air-conditioning, ceiling fans and fresh modern interiors. 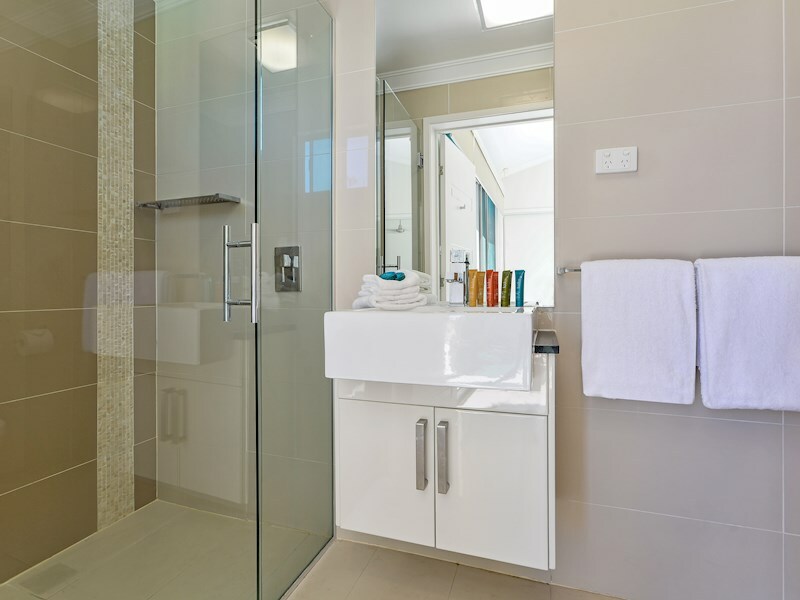 There is an additional living space with a bathroom on the ground floor, which has space for rollaway beds or blow-up mattresses if required.